As I’ve mentioned before, this blog came about as kind of a fluke. But the above graphic is amazing to me. 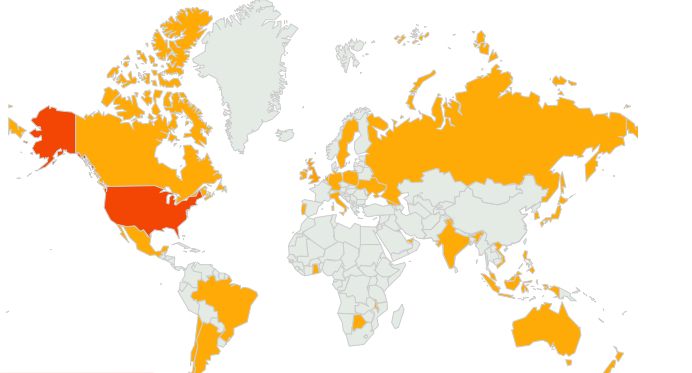 That map indicates from where NoCamo has been viewed since the end of February. That blesses my heart. I love the fact that I get to proclaim the name of Jesus in this space and that His name travels literally AROUND THE WORLD. I have always regarded this blog as a ministry, and continue to do so. Please spread the word as we spread the Word together. I’m praying that God will make much of Himself through the conversations that will take place here. NextThe Notion of Completion – Do I Really Gotta Finish?